We’d love your help. 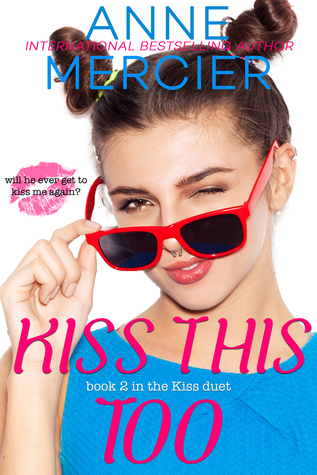 Let us know what’s wrong with this preview of Kiss This Too by Anne Mercier. Living halfway across the country from your new boyfriend is misery when you need him to be there with you, helping to ease the pain of your loss. Add in the drama-stirring Evil Four who make me doubt Leo, myself, and our relationship, and I'm a Just when Leo and I finally find our rhythm, my life turns upside down and I need to go home. Living halfway across the country from your new boyfriend is misery when you need him to be there with you, helping to ease the pain of your loss. Add in the drama-stirring Evil Four who make me doubt Leo, myself, and our relationship, and I'm a mess. To ask other readers questions about Kiss This Too, please sign up. Can I get this on kindle?